To reach the goal iteratively together, all roles are represented in a team. Only with all necessary competences in a common project team a very close cooperation with high reactivity and fast, deliverable results can be realized. In a mixed customer service provider scrum team there is no longer a traditional distribution of roles. Raiffeisen is responsible for the product vision and design and thus also for the product owner role. Liip with many years of experience in agile development presents the ScrumMaster. The result is a mixed team: developers from both companies, Interaction Design and Testing from Raiffeisen and the architecture from Liip - all participating with their strengths. 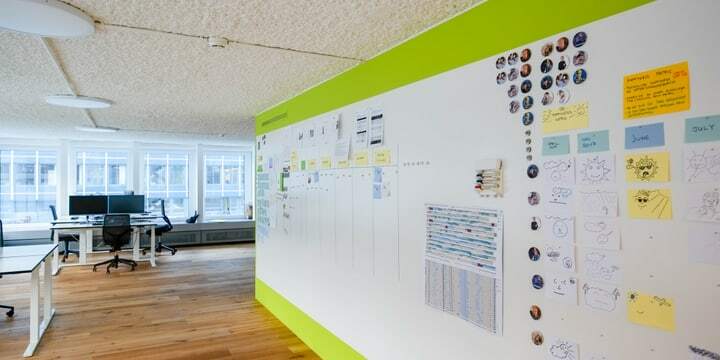 In a team where there is no manager in the vicinity - at Raiffeisen not in the same building, at Liip there are no superiors - self-organization is not just a buzzword. Scrum provides the guidelines: The product lead lies entirely with the product owner, the ScrumMaster gradually makes itself obsolete by accompanying the team to constantly improve. The implementation team bears the remaining responsibility for the entire "How? Specifically, the complete implementation in the sprint with technical solution, the design not defined by the product owner, the entire planning of the implementation as well as ongoing cooperation and coordination. Physical proximity was also a decisive success factor in the previous MemberPlus cooperation. 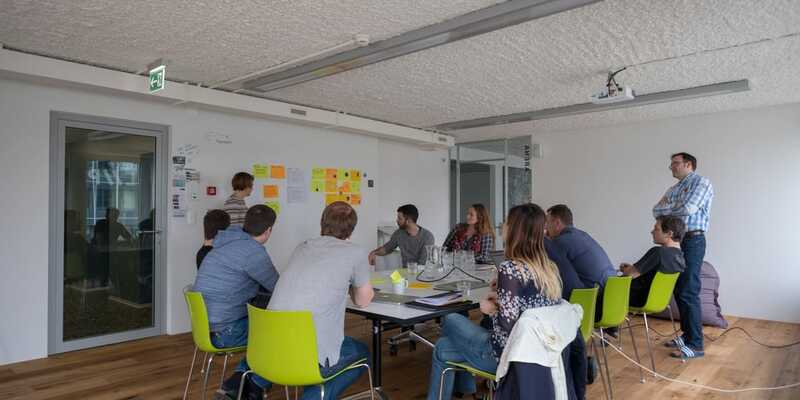 In the current project, however, not only the daily coordination meetings are held together on site, but the entire project team works together - mostly 4 days a week - in the Liip office in St.Gallen. Ideal world in the MemberPlus team? Of course not. Anyone who works so closely together will notice almost everything and there are challenges in every project. But discrepancies pop up quickly due to the proximity, which avoids major escalations. The next blog entry deals with the possible agile models of customer service provider cooperation.